Take some inspo from her NYFW look. 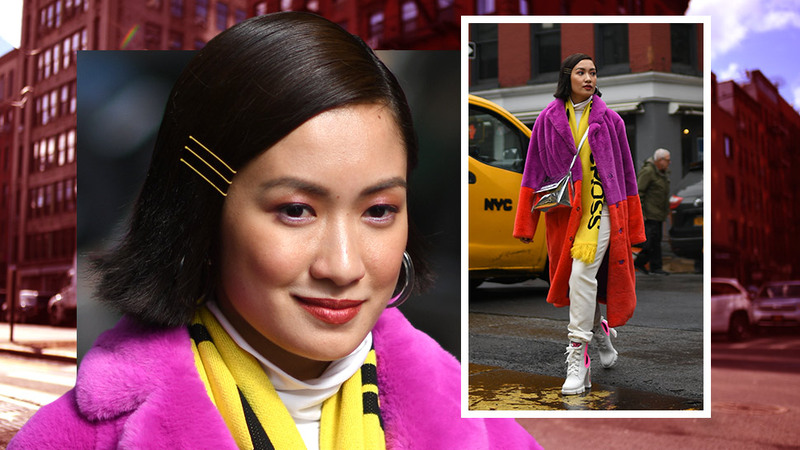 Laureen Uy has proved time and time again that she’s a fashionable force to be reckoned with—her regular attendance at New York Fashion Week cements just that. For this season’s set of shows, Laureen paired an understated beauty look with an eye-catching outfit. To prep her hair, Laureen washed it with the TRESemmé’s Keratin Smooth Shampoo and Keratin Smooth Conditioner. The tandem helped made sure that her hair would be smooth once dry. She created a deep part towards the left side of her head and sprayed her hair with the TRESemmé Keratin Smooth Flat Iron Spray before heat styling. The spray acted as a barrier between her hair and the hot tool to help protect it from heat damage. She ran her hair through the flat iron, making sure to curl up the ends of her signature bob, and then she sprayed her hair with TRESemmé’s Extra Hold Hairspray to tame flyaways and keep the look neat and defined. To add a chic element to the look, she pinned down the side of her part with three gold bobby pins. While Laureen paired the hairstyle with an outfit that matches her distinct fashion sense and street style, the look is versatile enough to be paired with any OOTD and can be worn on any occasion—from office parties to weddings to get-togethers with friends. All you have to do it take notes from Laureen’s style and use products that will help you achieve smooth hair that looks like it came straight from the runway. To learn more about the Tresemmé Keratin Smooth Range, follow Tresemmé on Facebook.